"Unaoil can confirm it has been the victim of a four-month extortion attempt by criminals." Unaoil, a major oil and gas company which was very active in Iraq has released a statement indicating the company was a victim of extortion. Unaoil can confirm it has been the victim of a four-month extortion attempt by criminals. The extortionists demanded huge sums of money from us in exchange for stolen emails and threatened that if we didn’t pay they would go to the media. As reported in The Australian, our expert advisers have indicated to us that they believe the extortionists are at the very least involved with the media sources of the articles published by Fairfax Media and Huffington Post. Despite being told by our company that the emails they were in possession of were stolen, Fairfax Media rushed to publish them, and we are deeply disturbed by their actions, which have had a negative impact on our business. We deny the allegations made by Fairfax Media’s reporters. We will be vigorously defending ourselves and are exploring all legal options. We are engaging with the UK Authorities and therefore are unable to comment in any detail at this time. We stand by our firm’s legacy and look forward to the facts of this case being properly brought to light. Fairfax Media’s reporting is littered with sensationalist distortions and misleading correlations, even going so far as to attempt to draw a line between Unaoil and the Arab Spring. 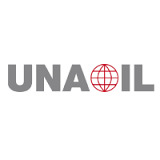 Unaoil is an industrial company that has made significant contributions to civil society in Iraq and elsewhere, including building critical infrastructure and educating hundreds of vulnerable children. Prior to Fairfax’s reporting, we also employed many hundreds of Iraqis.